My Story | Cross Properties, Inc. If you have been given the job of being executor, or personal representative, for a loved one who has passed away, then this story is for you. I tell you this story not to complain, but to let you know that I have been in your shoes, and things will get better. 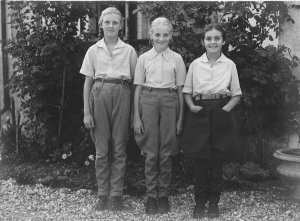 Mom (center) with her two sisters growing up in 1940’s England. All smiles after World War II was finally over. My mother passed away after a one-and-a-half year battle with pancreatic cancer, and several surgeries. My home was in Salem, Virginia but my mom lived in New Market, Maryland, almost exactly 4 hours away on a good-traffic day. When she was not well during the last year of her life, my wife and I would make the trip once a month to visit and see how she was doing. She had lots of friends in her little town who helped her in every way, but she was always on our minds. We felt bad about trying to live our lives and raise our kids while she was suffering by herself in her townhouse. Mom refused many requests to move to our home so we could care for her. She did not want to leave her friends, community, and townhouse, so I did not feel right continuing to push her to move to Salem in what we thought were her final years. In July of 2012 mom called me and said “It’s time for me to take you up on your offer and move to be close to you in Salem.” While I knew that meant her doctor had given her some bad news, I did not know how quickly her health would decline. Before leaving for Maryland, we had a hospital bed delivered and placed in our first floor den, a comfortable place for her until she moved to assisted living later on that week. On Friday, July 20th, we made the 4 hour drive to pick up mom and a few of her belongings. When we left her townhouse on Saturday morning, mom walked out to the car, got in and said we needed to swing by her PNC bank branch so I could have signing authority on her checks. It took about 5 minutes to obtain the signature card, which proved to be an INCREDIBLY important step needed to deal with the next 4 days. 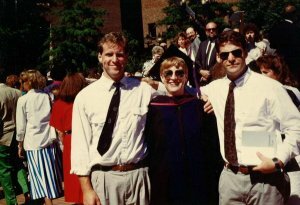 Mom’s law school graduation day in the summer of 1989 (her 4th graduate degree), my brother (left) and me. By Tuesday, July 24, mom was having trouble even walking, and had not eaten for a day. She was scheduled to move to an assisted living facility in Salem that day. I drove her there at about noon, got her checked in, went to work, visited her at about 5 pm and talked with her for a little while, then headed home for dinner. After dinner we had our college-age Bible study group at our house from 7 to 9 pm. 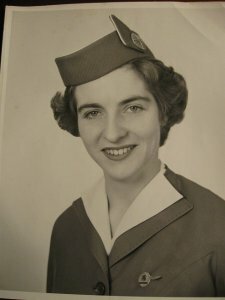 My wife and I were beat from a long day of taking care of mom, and all the other activities and work that day, so we headed to bed at 10 pm, but got a phone call from the assisted living facility just after midnight saying “Your mother has passed away.” She was there for just over 12 hours. While I was very sad, I was happy mom was no longer in pain and no longer had to take a handful of pills every few hours. Additionally, because of her faith in Jesus, I believe she is in a much better place with no more tears and no more pain. We made her funeral arrangements with Oakey’s in Roanoke, and honoring her wishes, we planned a memorial service for her in Frederick Maryland for mid-August. 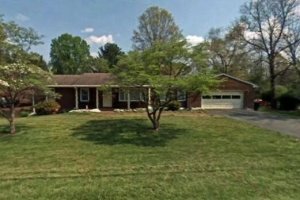 Mom’s Maryland townhouse that would bring us stress, relief, then stress again. Now the difficult times for me began. My daughter was going into her senior year of high school, and in the middle of choosing a college. My son was playing varsity football and heading into his sophomore high school year. I had been in the real estate sales business for 15 years at that point, so my business was good, and I was quite busy. My wife was a substitute teacher at the time, so we had some seriously full days. Now in August of 2012 I was about to be the Personal Representative of mom’s estate, have the responsibilities of her house in Maryland to deal with, in addition to my normal day’s work. My life was already full, so how was I going to carve out time to deal with my mom’s estate? I just had to dig in and get started. 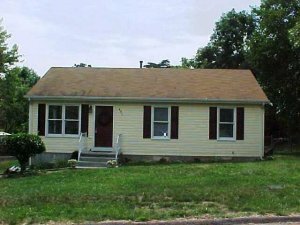 The townhouse had a mortgage, an equity line, separate water and electric bills, and a home owner’s association (HOA). We needed to pack and move all her belongings, which she had accumulated over 76 years. Her car was still parked in front, and needed to be re-titled to get it sold. There were magazine subscriptions, email accounts, cable TV, and online subscriptions to cancel. I had to get the Estate Tax ID number from the IRS in order to open an estate checking account. 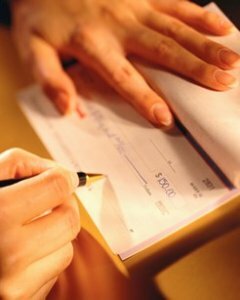 There were several bank accounts to consolidate into the estate, several retirement accounts to deal with, and the Social Security checks to cancel. There was also the Probate court in Maryland to deal with. They were kind, but when I drove up to Frederick Maryland to get things started, they handed me a packet of information to complete that looked as thick as a phone book. 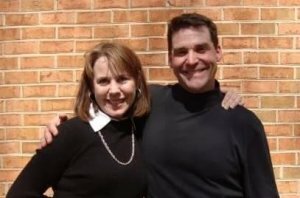 My wonderful, helpful, and very supportive wife Susie! Having my wife so calm and helpful in this process was crucial, I could not have done it without her! I told Susie “we should be able to take care of packing up in only one weekend“, then call some movers to come the next weekend. Boy was I wrong. 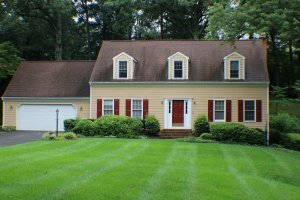 We made the 8 hour round trip to Maryland four more times in the next five weeks in order to pack up the house and get it ready to put on the market for sale. We sorted thorough pictures, paintings, furniture, dishes and silverware, clothes, shoes, jewelry, and mountains of files in three 4-drawer file cabinets. We made notes on everything we did so it could be inventoried for the court. In early September of 2012 we finally finished and were ready for the movers, which cost a bundle ($2,700) to have them deliver to my house in Virginia and cram it in my garage. My life as a PR had begun. New stainless stove and microwave to match the stainless fridge and dishwasher. 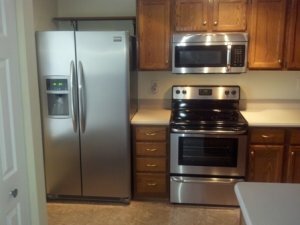 I installed a new stainless stove and microwave so they would match the other appliances. We put the townhouse on the market for sale at the beginning of September, with a Realtor friend of my mom’s who had originally sold her the house. We thought we were ahead of the game since it had just been a little over 1 month since mom had passed away. Amazingly, we quickly received a decent offer and started down the road to getting it closed in November. However, the buyer didn’t like the the home inspection, and specifically the lack of heat source in the small basement den. We agreed to install and pay for baseboard electric heat for that small area, but the buyer had made up his mind and wanted to cancel the contract. So that deal was dead and it was almost Thanksgiving. The house sat on the market with no activity for another month and I was getting tired of making the 8-hour round trip to check on things every 2 weeks. Since I had experience with rental property, and the checking account funds for the estate were running low, I had an idea! I decided it would be best to try and rent the property to a tenant for a year. My thinking was I would just try and sell it again the following spring when the prices might be much better. In December 2012, I put the house on the market for rent on Craigslist and immediately got an application from a potential tenant. She filled in the application, we did a credit and background check, and everything looked good. This was the one time in the whole process where things went easily (mostly). This tenant was the “dream” tenant and everything she told me about herself turned out to be true. She told me she was neat, tidy, made her kids take off their shoes inside the house, liked gardening, and was always on time with the rent. All turned out to be true! I was completely blessed to have her, and the story doesn’t end there. Fast forward to March 2013, our awesome tenant called and said “We have ants, but don’t worry, I have called the exterminator”. Instead of doubting her, and making a new 8 hour round trip, I went ahead and paid for the exterminator to treat the whole house ($791). Well, we had never had ants during all the times I had stayed there, but I wanted to take care of my tenant. 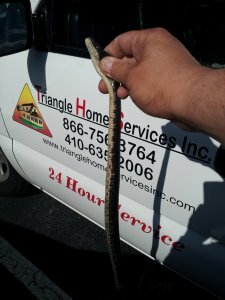 Snakes in the attic, and other critters, cost us $4000 to remediate. Now, fast forward to June 2013. I made it through the winter, and turned in my final estate accounting to the courthouse in Frederick Maryland. I was finally at a point where I could take a short vacation in Tennessee with my wife and two kids. Just after we got into the hotel room, I got a call on my cell phone from our awesome tenant. She said “we have snakes in the laundry room”. I said “What in the world are you talking about?” (nervously remembering I was now 8 hours away from the townhouse). She again said “Don’t worry, I called an exterminator I know, and he is here now.” So I got on the telephone with the exterminator and he said, “you really don’t have a snake problem, you have a mice problem”. Turns out some mice had gotten up into the attic insulation and made a nice home there until the black snakes came in to “take care of them”. So the snakes decided to stick around and spend time in the laundry room. It cost us $4,000 to have them remove all the snakes, tear out all of the attic insulation, treat with enzyme, and re-install new insulation. Finally, in September 2013 we were ready to close out the estate, but discovered that I could not just keep on paying my mom’s mortgage. In order to transfer the property into my name to close out the estate, since mom had left the house to me in her will, I was going to have to refinance the house! I was not expecting that, but fortunately I found a great lender who was able to count the rent toward my qualifying to get this new loan. We closed on the re-finance and closed out the estate in September 2013! Oh, and do you want to know the rest of the story with our dream tenant? She always paid on time, always took care of the townhouse, and always let me know if there was something going on I needed to know. And the best news was that she and her two children stayed there even after we sold it in the spring of 2015. 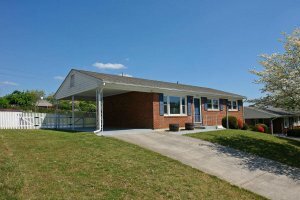 The new buyer was an investor who was thrilled to have a great tenant. 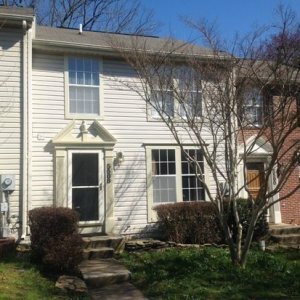 Our tenant was thrilled to stay in the townhouse with the same rent price, and not have to move out. What a blessing! I had spent the last 14 months dealing with the estate and probably spent over $10,000 of my own funds getting it closed out (mom didn’t have a lot of cash on hand or a life insurance policy). 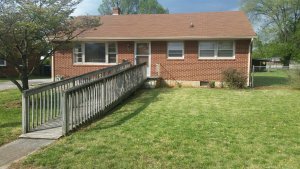 I finally made that back when we sold the house in the Spring of 2015 for $225,000. But the money we had to spend added up! We paid 3% in re-finance settlement fees in 2013. Then when we sold in 2015, we paid 6% in real estate sales fees, another 3% in closing costs, and another 7% in Maryland “out-of-state owner’s” tax fees. That is around 20% off the final sales price ($45,000), in addition to the over $10,000 I had paid out of pocket. I tell you all this because I want you to know I have been in your shoes. This process of probate, and being the personal representative, is a long, involved, and expensive process. I do wish I would have had someone’s expertise at the beginning of the probate process to guide me in selling the house quickly. I could have avoided all of the headaches and expenses of holding the house, and been much better off financially. We could have had all of those proceeds in the estate bank account, and not flying out the window paying to keep the house afloat. In fact I was approached by a cash-house-buyer who offered me enough in 2012 to come out with exactly the same cash as I came out with when I sold in 2015. Click here to see a side-by-side comparison of the anticipated costs to sell a house. Are You The Personal Representative Of The Estate?